I was thrown for a fruit loop. At first, I thought it was a parody video about the People’s Action Party (PAP) and it should be. After all, the video has PPAP in the title and it starts with a guy, who looks like Hong Kong comedian Richard Ng wearing gold animal-preens (shout out to Ris Low!) pyjamas with a matching scarf, saying “PPAP”. Then he starts dancing and singing. Actually, to call it “singing” would be an insult even to Florence Foster Jenkins. He is simply saying words to the beat, which I guess could be called “rapping”. I have a pen. I have pineapple. Ugh! Pen Pineapple Apple Pen. And that’s what PPAP stands for — Pen Pineapple Apple Pen. So it has nothing to do with Singapore’s ruling political party. At one minute and eight seconds, the viral video is mercifully short but mercilessly inescapable, having accumulated more than 14 million views on YouTube since it was published on Aug 25. This does not include the tens of millions of views the video got elsewhere after Pen Pineapple Apple Pen was re-uploaded by others. No fruit has received this much attention since Amos Yee ate a banana on the way to court one day. Like Gangnam Style and Harlem Shake, the song has inspired remixes, spoofs and memes from around the world. I have a bendy bus. I have a field. 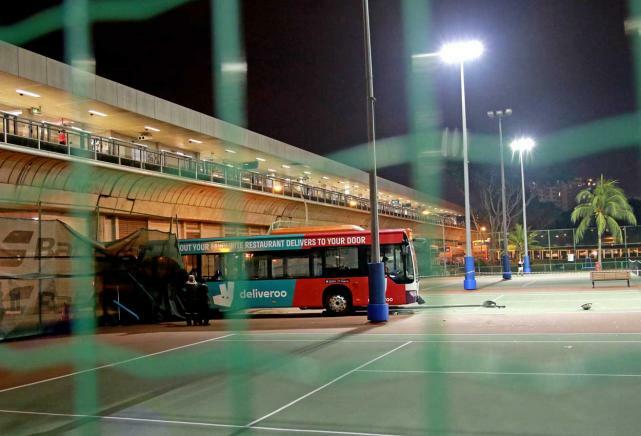 Field bus, tennis court bus. Ugh! Bus tennis court field bus. But what is this Pen Pineapple Apple Pen nonsense about anyway? What’s with the weird desire to marry fruit and writing instruments? “Singer-songwriter ‘pico Taro’ from Chiba of the Furusaka University demon king one push. 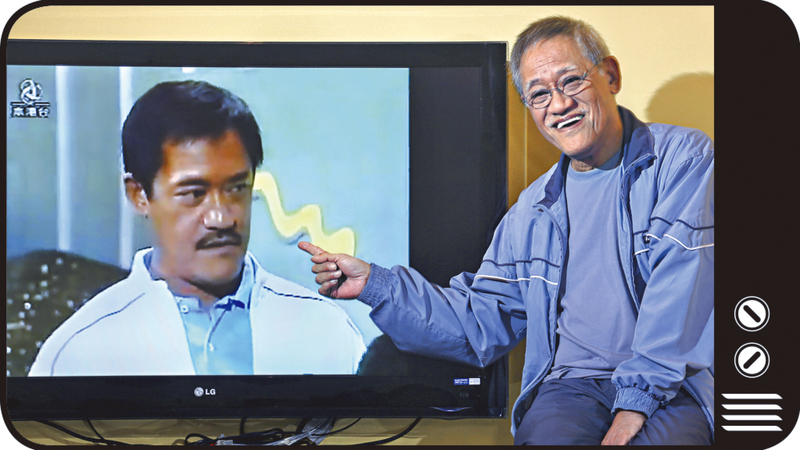 “The ‘pico Taro animation project’ first that began at last! “Pen Pineapple Apple Pen, also known as PPAP which is representative music! Looks like someone has been relying too much on Google Translate. 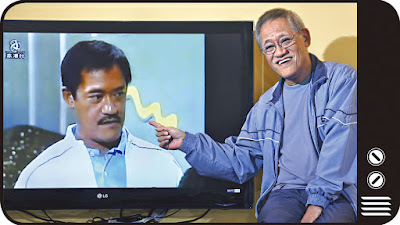 Pico Taro, whom the video is credited to, is a character created and played by 43-year-old Japanese comedian and DJ Kosaka Daimaou, whose real name is Kazuhiko Kosaka. He is apparently not related to Richard Ng. That is, apart from the moustache. I would like to point out that thanks to the power of suggestion, some people may remember seeing the Richard Ng look-alike holding up a pen, an apple and a pineapple in the video when in fact, he is lying. He does not have a pen. He does not have an apple. And he definitely does not have an apple pen. He also does not have a pineapple, which means he does not have a pineapple pen too. So no actual fruit (or pen) was harmed in the making of this video. Is it just me or does the way he jabs his imaginary pen into his imaginary fruit each time he says “Ugh!” seem disturbingly sexual? I’m not sure it would be more or less disturbing if he used an actual pen and fruit. If you have ever wondered whether an apple pen or pineapple pen actually exists, Pilot Pen Singapore has read your mind. 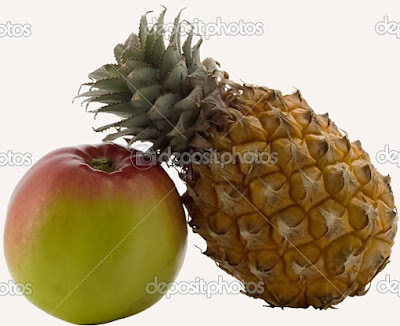 “Ever wondered if a pineapple pen or apple pen actually exists? Yes, pens that smell like fruit. Are you supposed to write with them or make a smoothie? 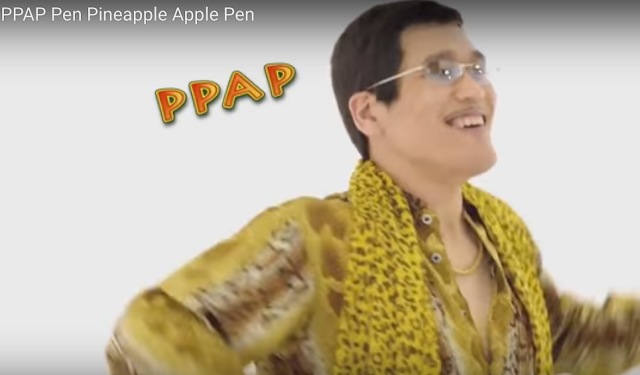 Like Pilot Pen Singapore, PAP should also jump on the Pen Pineapple Apple Pen bandwagon and make it the party’s new theme song. After all, Singaporeans already think of PAP when the guy says “PPAP” anyway. I have a party. I have action. I have a party. I have people. Ugh! Party People’s Action Party.